Tomorrow is the deadline for companies with EU-based subsidiaries to start reporting derivatives trades under EMIR. Many arent ready to comply. The European Market Infrastructure Regulation (EMIR) deadline for reporting derivatives trades is looming large. Tomorrow—February 12, 2014—all parties involved in derivatives transactions in Europe must begin reporting the transactions to trade repositories on a daily basis. EMIR covers a wide range of transactions, including foreign exchange (FX), interest rate, commodity, credit, and equity derivatives, as well as some instruments Dodd-Frank doesn’t cover, such as FX forwards. 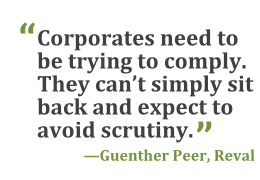 And the rule applies to both financial institutions and their corporate clients.